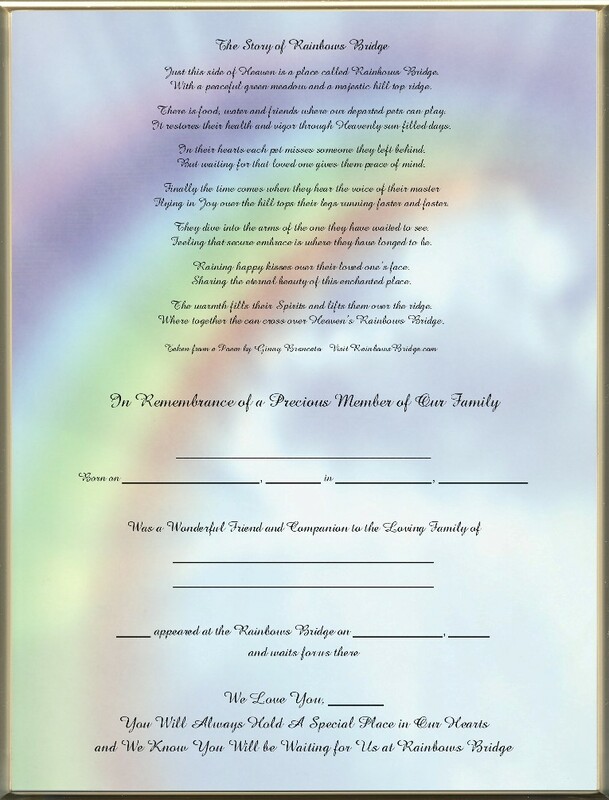 Grieving Pet owners can now document your Dear Pet's life with a Unique, One-of-a-kind, Keepsake Pet Remembrance Certificate celebrating the life of your Best Friend. 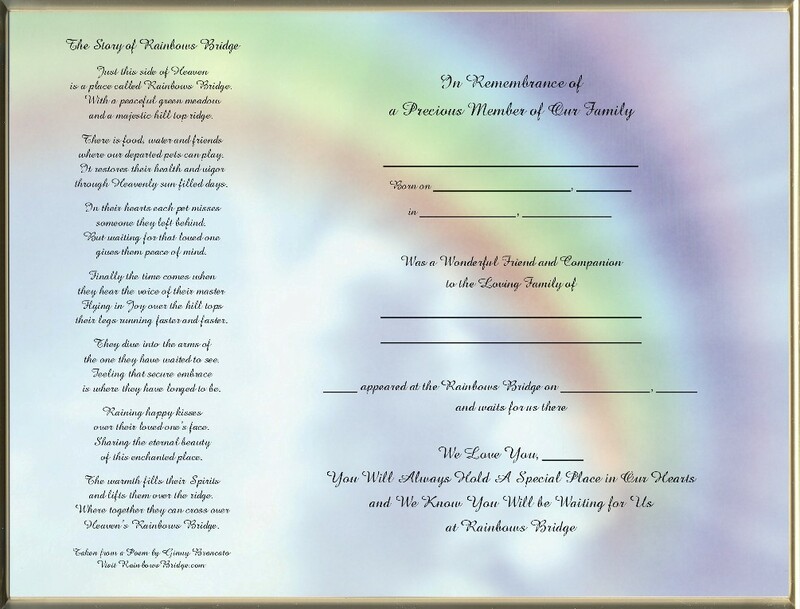 This Amazing, 8½ x 11 inch, Blank, Keepsake Pet Remembrance Certificate has an comforting verse inspired by Ginny Brancato Poem, "Rainbows Bridge." It's a heart lifting Poem that helps people young or old deal with the loss of a dear Pet Family Member. The Rainbow paper we use highlights the verse and brings the whole tribute together. Take a little trip to RainbowsBridge.com and experience for yourself the heart warming comfort of "Rainbows Bridge."